Don't delay - this solid 3 bedroom, 1 bathroom home on a massive 983m2 block is a definite brake slammer! If your finances are in place and you're ready to make a decision, then you'll appreciate the great value in this private and secure property - and at this price, you'll be the WINNER!!. Sure it backs onto Vanderlin Dve, but it is well fenced and the gardens are a blank canvass so you can plant all the screening you want - you've got 983m2 to play with and there's already a pool to unwind in. Don't let this one get away!! Building, Plumbing and Electrical Reports available. * Gas Kitchen with ample cupboard space and work benches. * Close to Shopping Centres, Leanyer Recreation Lagoon, Schools, Airport and so much more. 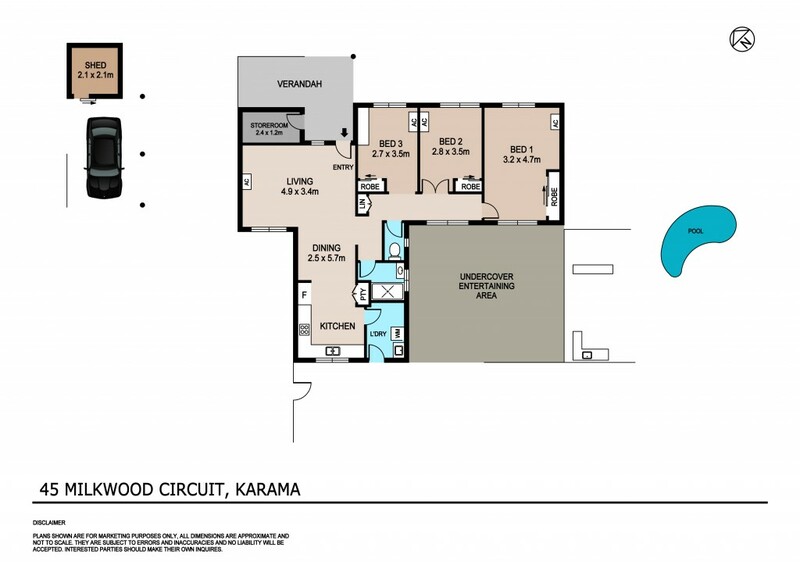 If you're looking for a great value first home or investment, then you really need to inspect 45 Milkwood Cct Karama.